If you believe that example is more effective than mere words this book is sure to excite you. He struggled against misfortune as a student and overcome many hardships to succeed in life. With this book he has fulfilled his long desired wish to write about leaders who left their mark on society. Their struggles, he is sure will guide many a youngster to aim high and never give up. In selecting the fifty magnificent Indians, every effort has been made to maintain the secular character of India. The featured personalities represent almost all the major religions and regions of the nation. Some of them were born in the run eteenth century and lived through a part of the twentieth century; while others were born and lived to be an integral part of the twentieth century. However, there is one exception: hotelier-industrialist, Mohan Singh Oberoi, who was born on August 15, 1898, and died on May 3, 2002. A Curtain Raiser The British rule over India began in 1757, with the victory of the forces of the East India Company, against Nawab Siraj-ud-Daula, in the battle of Plassey. The main objective of the Company in India was to make money. This was achieved through their clever manipulation, with regards to the monopoly of trade. With the advent of the industrial revolution in the early nineteenth century, Britain had emerged as a leading industrial country, in the world. India was transformed into an ideal colony that became a major market for British products, as well as a supplier of raw materials and food to Britain. In 1866, Dadabhai Naoroji was in London to propagate India's economic misery in order to influence the British public opinion. He demonstrated that poverty and economic backwardness in India were actually fostered by colonial rule, which had been draining her wealth. Political slavery was another gross injustice inflicted on Indians They at that point could only survive within the limits set by theircolonial rulers. Surendranath Bannerji had passed the ICS examination in 1869 - a difficult feat at a time when the maximum age limit forIndian candidates was reduced to nineteen. Even then, he was removed from service on trivial grounds in 1874. Racial arrogance was the chief reason for being removed, as the foreigners were not happy to have him as their colleague. British colonial rule had harmed the lives of Indians in every way making it essential to organize India's political life under the leadership of Surendranath Bannerji. He founded the Indian National Conference in 1883, which merged with the Indian NationalCongress in 1886, under the chairmanship of W C. Bannerjee. Inhuman treatment meted out to Indians by the white people inSouth Africa, forced Gandhi to struggle for equal rights, for hiscountrymen. He launched the agitation of Satyagraha - a uniquetechnique born out of non-violence and truth - in South Africa. This won equal rights for Indians, in 1914. He returned to India and plunged into the Independence Movement, in 1917. Having followed thephilosophy of non-violence, all through his life, he ultimately led the Indian people to win Independence, in 1947. A noble British lady, Annie Besant, adopted India as hermotherland. She played an active and vital role in the struggle for the cause of Indian nationalism. India could not produce too many great scientists due to centuriesof subjugation. Yet, the nation has given birth to the likes of Nuclearscientist, Dr. Homi J. Bhabha who had long ago recommended buildingan extensive scientific infrastructure in the country, in order to catchup with the more progressive countries. The prime objective of a statesman is to render selfless service for the cause of national welfare. Sardar Vallabhbhai Patel was one such stalwart, whose historical service to the nation was marked by the integration of the princely states. Indira Gandhi emerged as the foremost politician during the post-independence phase by virtue of having been bold enough to implement vital decisions. The monumental achievement of her leadership was India's victory in the Indo- Pak War, of 1971. Lal Bahadur Shastri was another exceptional leader, endowed with the strength of high moral character and honesty - a rare virtue found in politics. He had set a unique example by resigning as the Railway Minister following a train accident in 1956, for which he personally owned responsibility. His example is yet to be emulated. General Yayah Khan unleashed a regime ofrepression in March 1971, to crush the unrest in East Pakistan. It resulted in the massacre of over three million people and the influx of over ten million refugees into the Indian territory. Pakistan initiated the war that ended on December 16, 1971. India emerged victorious having captured Dhaka along with 93000 POWs. 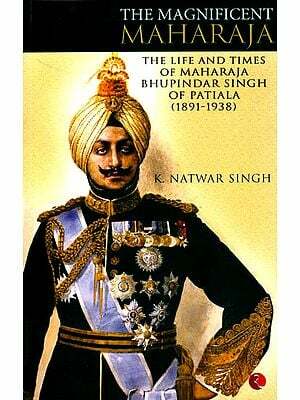 This war produced two great warriors viZ, Field Marshall Sam Mancekshaw and Admiral S. M. Nanda. To date, Rabindranath Tagore, has been admired as the most universal and complete human being, by intellectuals all over the world. His literary persona covered subjects like, poetry, plays, novels and stories; in addition to innumerable songs including India's national anthem 'Jana Gana Mana'. His imagination was extensive and touched almost every aspect of life. Jurists, namely, M. C. Setalvad and M. C. Chagla, represented a wide range of professions, concerning law. Both scaled great professional heights. M. C. Setalvad was appointed the Attorney General of India, before India became a Republic and continued to hold this position till 1962. Justice M. C. Chagla was the first Indian to become the Chief Justice of the Bombay High Court, on August 15, 1947. In the initial stages women working in films were not respected in Hindu society. Likewise, the Parsee community too did not spare its women from this prejudice. The Muslim ruling classes had traditionally not regarded the film industry as a profession of disrepute. Hence, a large number of Muslim men and women, besides a small number of Anglo-Indians, had joined the film industry. However, a daring Brahmin socialite, Durga Khote, joined films in the early 1930s and paved the way for Hindu women to join the film industry. Nobel Laureate Amartya Sen propagated his unique view that famine does not occur due to the shortage of food grains. According to him, it is a man-made catastrophe, caused by the consumers' lack of purchasing power. Julio Ribeiro has earned the title of 'super cops' due to his bravery and professional honesty. Sports persons, however well endowed physically, would not become champions without having undergone years of arduous training, matched with unstintedperseverance. This universal truth has been confirmed by the feats of Kapil Dev, Dhyan Chand, Milkha Singh and P. T. Usha. My dream of writing a book would never have been realised, had it not been for the individuals who helped me along the way. I would like to express my gratitude to those who assisted me in completing my most arduous, post-retirement five-year journey. I am deeply indebted to Shri Subrat Ratho lAS, my ex-boss, for his guidance and encouragement. Despite his busy schedule he went through the manuscript and gave suggestions, wherever necessary. However, mid-way through the book I was deprived of his wise guidance due to his transfer. Subsequently, it was the invaluable assistance of my elderly library mate, Mr. Chandrakant Joshi, who helped me complete this book. I would also like to thank the Petit Institute Library for the facilities it provided me. The place was equipped with the perfect setting for writing. Special thanks to the library assistants Mr. Cyrus Behram, Mrs. Vijaya Haldarkar and Ms. Nisha Rupani for their co-operation. Finally, I would like to express my gratitude to Mr. R.H. Sharma, editor, Jaico Publishers, for bringing out this book.